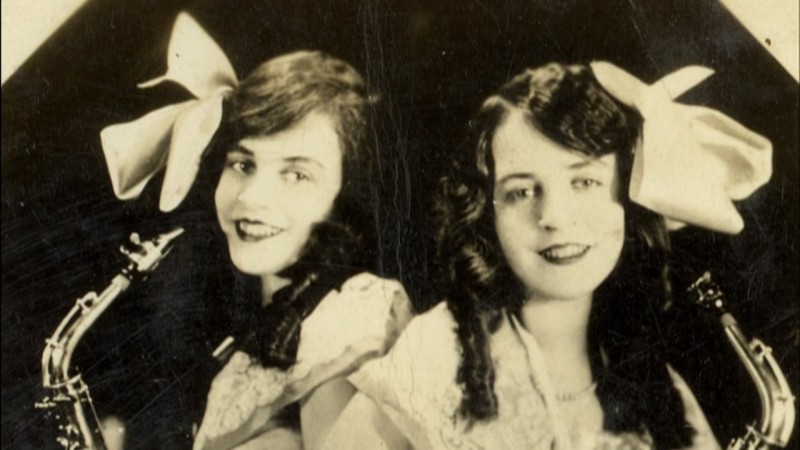 Bound By Flesh is the story of two conjoined sisters (Daisy and Violet Hilton) and the perils they experienced during their very colorful lives. Born in 1908 to a mother that wanted nothing to do with them they were sold to Mary Hilton who immediately saw dollar signs when she laid her eyes upon the twins. Hilton instantly put the twins on display (for a price, of coarse) and when the girls were old enough the Hilton family hit the road touring everywhere from Europe, to Australia, and eventually to the ol' US of A. The two twins were essentially held captive by their overbearing "mother." While they racked in countless bucks with their sideshow act, sadly they would never see any of their earnings. Thankfully when the twins were old enough they broke free of any contracts and obligations and set out on their own, leaving the sideshow for vaudeville. During this period of their lives the twins became sexually liberated dating numerous men and even tried their hand at a few (unsuccessful) marriages. 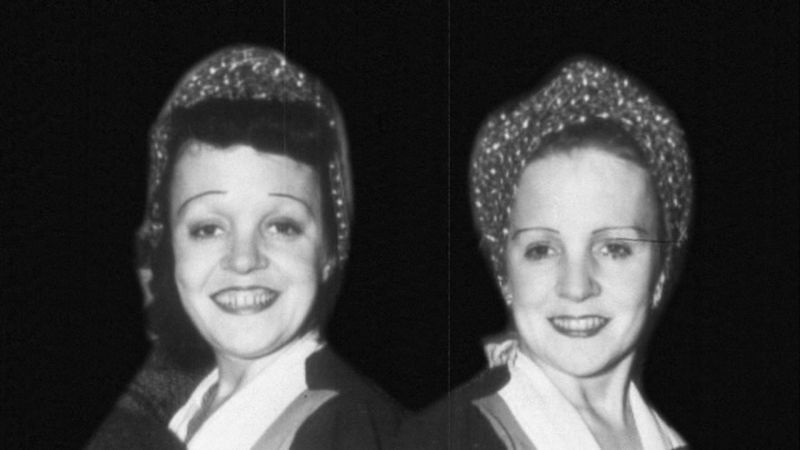 The Hilton sisters rode their wave of fame for as long as it would carry them, but unfortunately all good things must come to an end. This real life story is a tragic one and (dare I say) a bit of a tearjerker. The sisters passed on in 1969 penniless thanks to a number of exploitative managers and a few bad decisions. 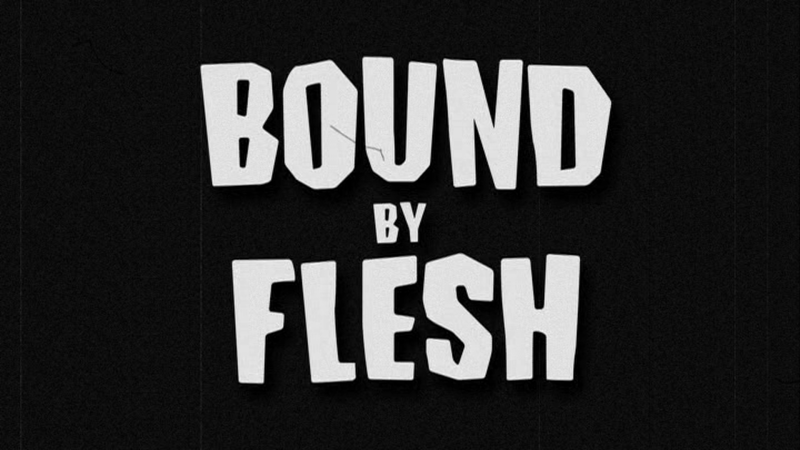 Bound By Flesh is Leslie Zemeckis' second documentary and it's fantastic. The viewer is lassoed into a very strange and selfish world guided by modern interviews, photographs, and even authentic audio interviews with the sisters. The interviewees chosen were perfect and manage to take one back to a time of traveling circuses and sideshow acts. This is truly one of the best documentaries I've seen all year! Additional Interviews (05:01) - A short segment featuring Leslie Zemeckis who gets into the inspiration behind the documentary. Dee Ann Johnston and James Taylor also make a brief appearance. The Making of Bound By Flesh (07:25) - A brief making of featurette made up of various interviews and some behind the scenes footage. It's Not All That Important to Fit In; An interview with Larry Turner (11:35) - Larry Turner recants on his relationship with the two sisters. Daisy & Violet; Interview at the Hilton Snack Shop (01:00) - A video interview with Daisy and Violet during the opening of their Hilton Snack Shop. As I mentioned earlier this is definitely one of (if not the) best documentaries I've seen this year. It's as enthralling as it is depressing. Sundance Selects and MPI did a great job with this disc loading it with some very worthy content. 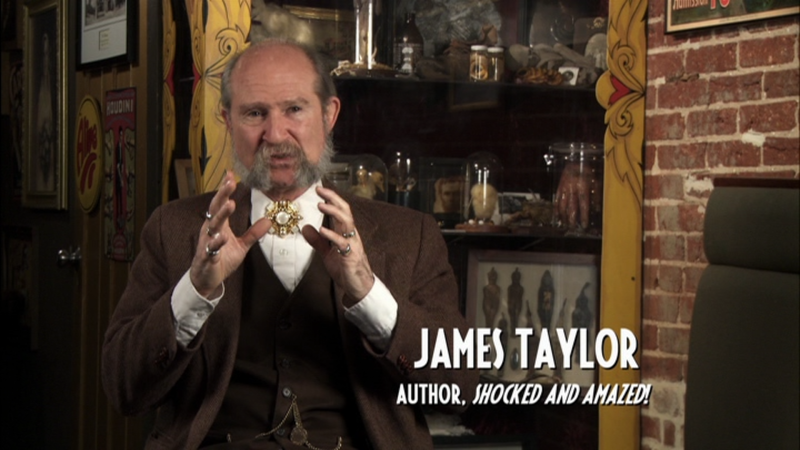 This isn't just a must see for fans of the sideshow or vaudeville, but required watching for fans of documentaries in general.